Oh, my! Perfection! Absolute perfection! I love the pumpkin sticker. Your card jumped straight into my heart! Gorgeous! I loveeeeeeee the pumpkin!!!! Just the cutest pumpkin sticker, Colleen, and I love that patterned paper. Yes, that does remind me of a shelf. What a great font on that sentiment. Maybe you put it together in no time but you still need an eye for a good design and choosing papers. And you did it sweetie; it's another handmade gem. Wow! A beautiful card, Colleen! I love the pumpkin sticker! 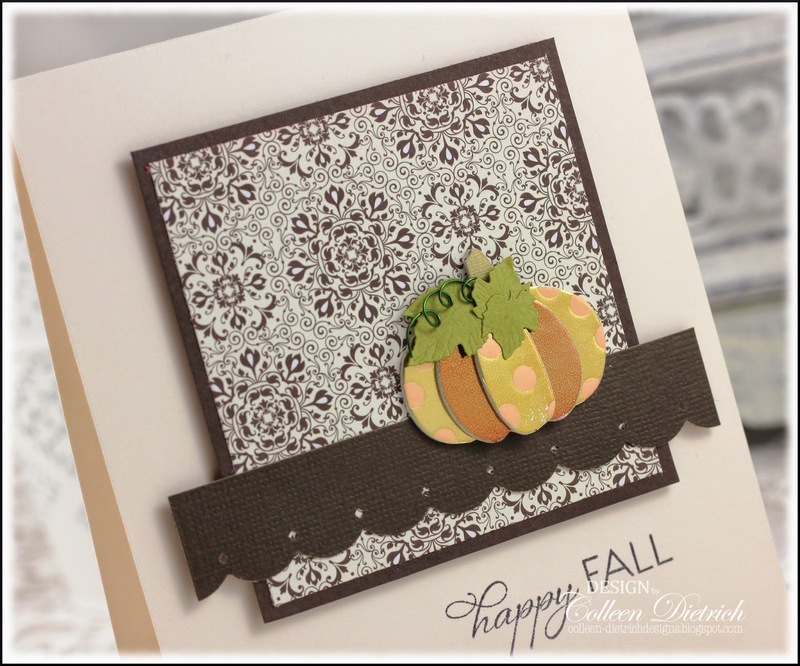 Wonderful card Colleen, love the ittle layered pumpkin! This is stunning Colleen. Wow. ADORE you multi coloured pumpkin!! Fabulous card. Simply elegant! Love the paper and the shelf for the shiny pumpkin! LOVE that pumpkin! 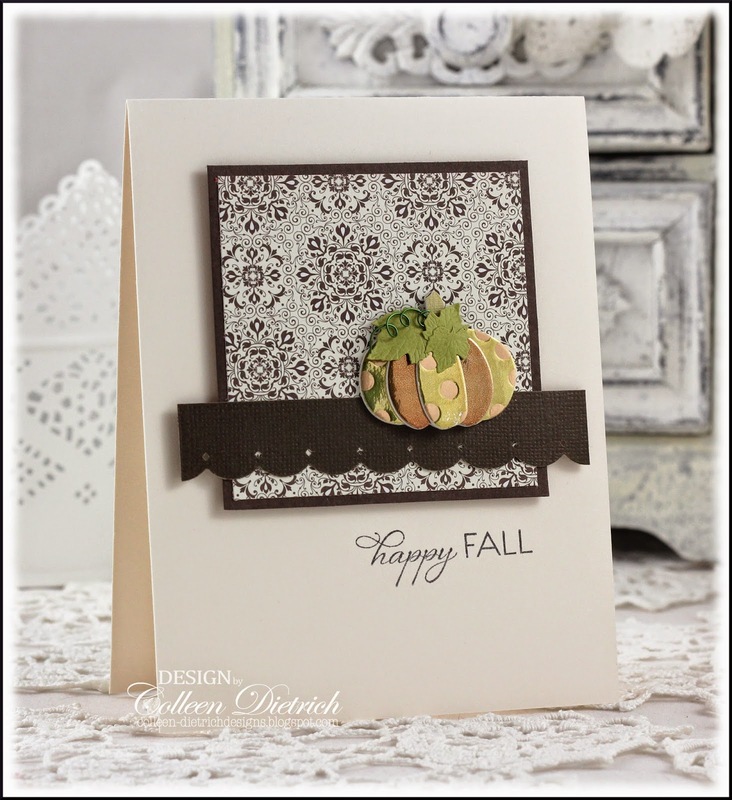 Pretty fall card!